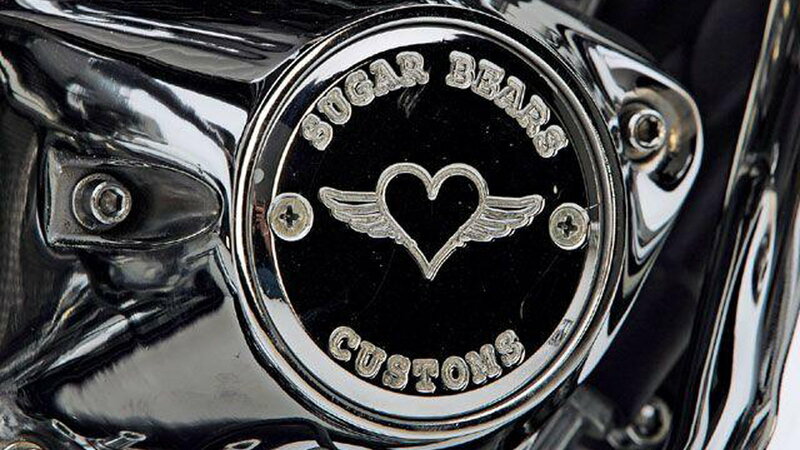 For many in the motorcycle world, Sugar Bear, of Sugar Bear Choppers, needs no introduction. He is the builder extraordinaire of extended Springer frontends and custom choppers. He is also the man behind the slogan: “If it ain't long, it's wrong.” Sugar Bear opened his California shop in 1971. 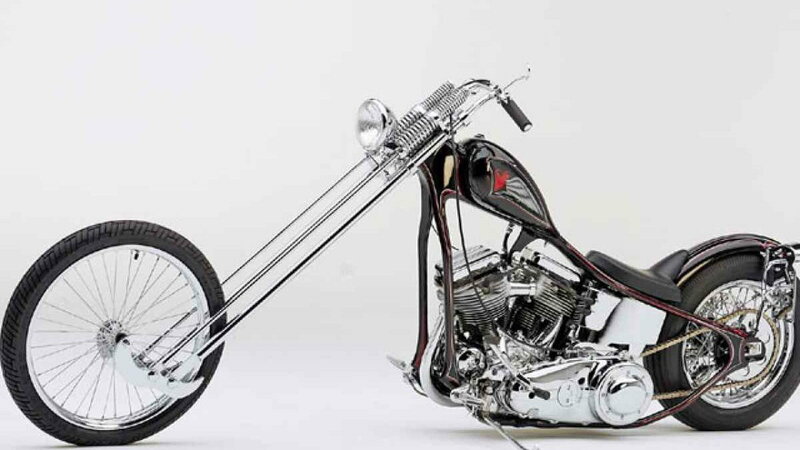 Now an icon of chopper culture, he is still in business almost fifty years later. 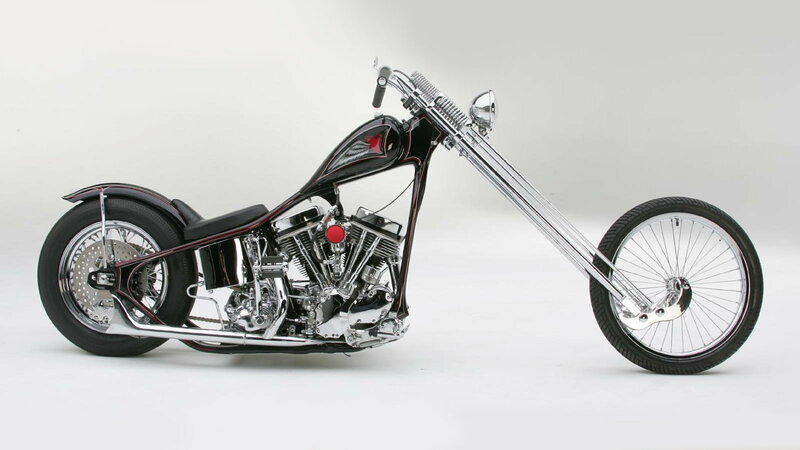 >>Join the conversation about Gorjus the Sugar Bear Chopper right here in Harley-Davidson Forums. Like his real name, Sugar Bear Springers are a bit of a mystery. His forks are famous for providing a quality ride, not flopping over, or pogoing under load. Part of the secret to Sugar Bear Springers is the choice of materials and his trademark lower rockers. Sugar Bear's other secret to success is simple. 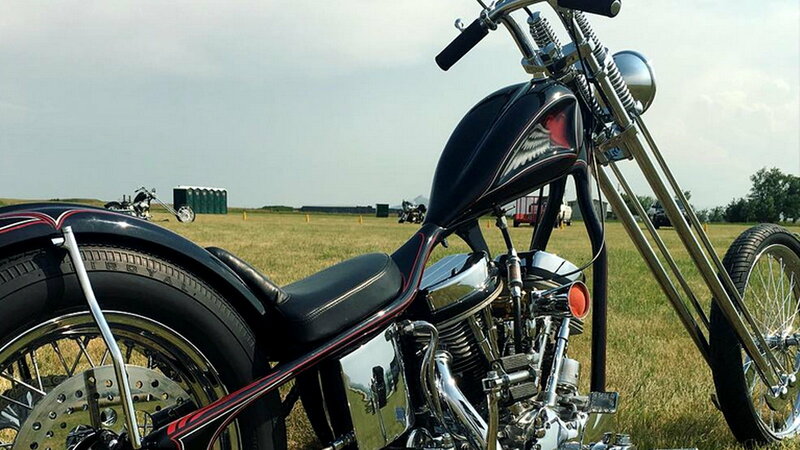 He has an unwavering devotion to building long and low, but rideable choppers. Contrary to chopper protocol, Gorjus retains its stock thirty-degrees of rake. The factory rake might be part of the secret recipe. Instead of cutting the neck, six inches has been added to the front of the wishbone frame. The result 'rakes' the neck and accommodates for the twenty-two inches over stock Sugar Bear Springer. The rear of the frame has been stretched six inches for that low and long look. Gorjus has remained close to Batista's initial vision. 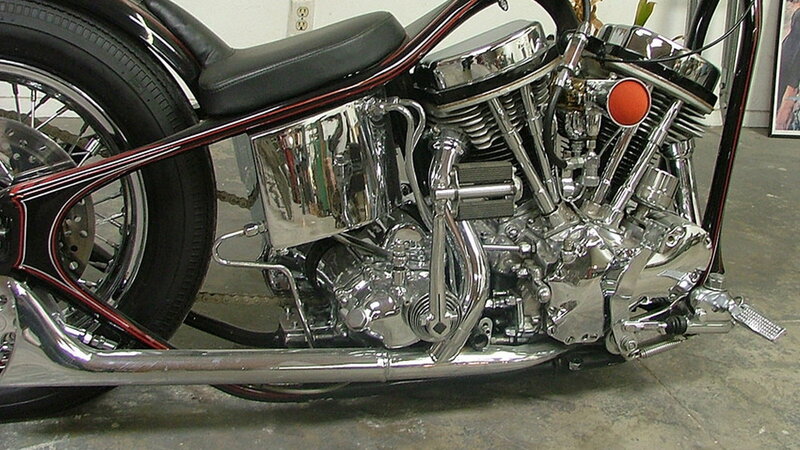 The motor is a stock 1948 Panhead with 1963 cylinder heads, UL flywheels, solid lifters, and a FLH cam. 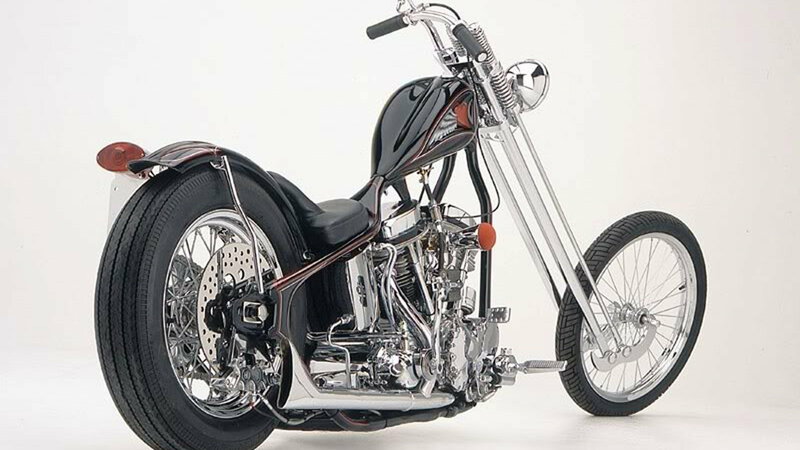 The stock 1948 Harley-Davidson transmission is connected by a SuperMax primary belt. Carburetion is provided via an M74B Linkert, and the spent gasses exit through a Sugar Bear Chopper's 2-into-1 exhaust with a fishtail tip. Gorjus is a bit of a time capsule. 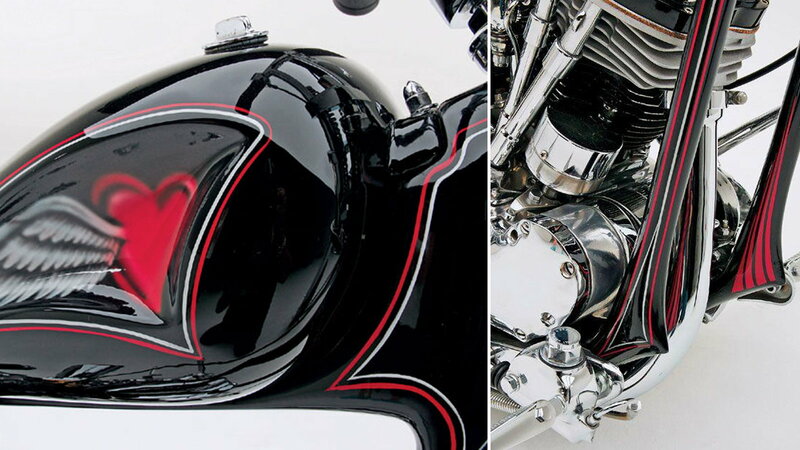 For the past fifty years, the bike has always had the same frame, gas and oil tank, fender, and primary cover. For Sugar Bear, the old parts are important. 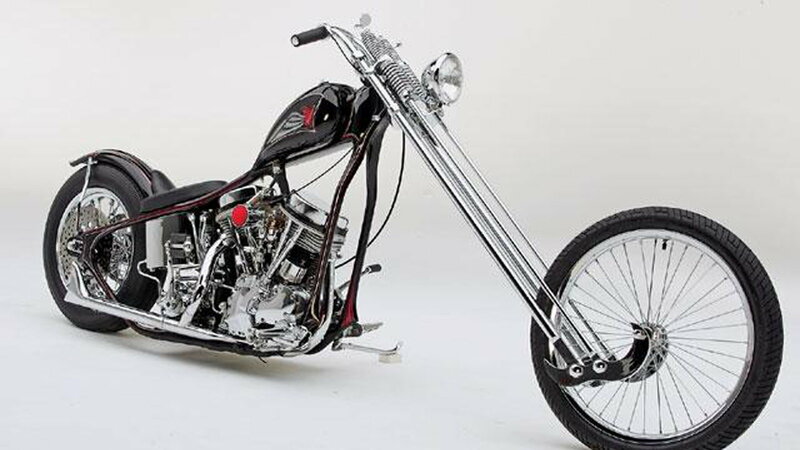 Taking it one step further, he plans to remove the rear disc brake and replace it with the old mechanical brake — a retrofit to return the chopper back to its original incarnation. 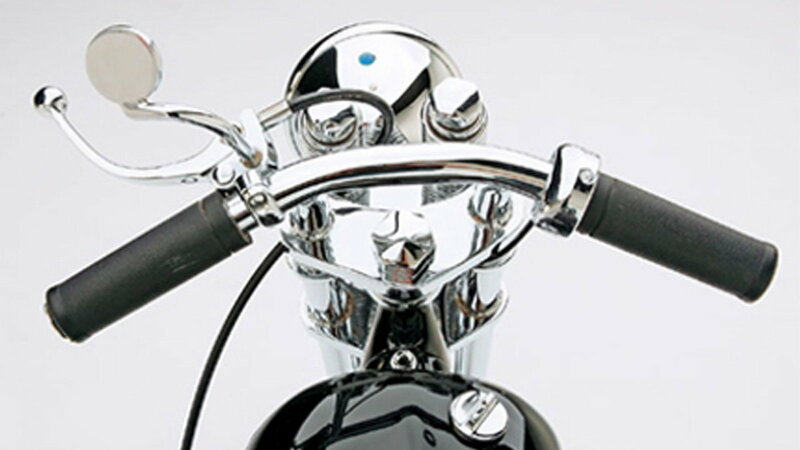 Gorjus has narrow handlebars. Sugar Bear rationalizes, “It was the most comfortable and desired style of bars running in the area during our time.” The Bates-style headlight not only lights the way, but it also provides a panoramic view at a glance. Being able to scope out the surroundings is important as the mirror is just polished metal welded to a bit of round stock — just enough to satisfy legal requirements.